AT&T may have opened its arms to Android with the release of Motorola's Backflip, but it isn't exactly embracing the platform's open nature. The Motorola Backflip, officially available on AT&T as of Sunday, marks AT&T's first foray into Android territory. 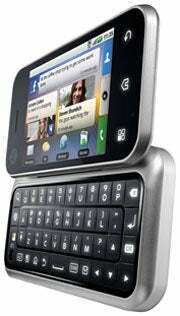 Featuring a unique back-flipping QWERTY keypad and back-of-display touchpad, the Backflip has a form factor unlike most Android phones. But it also has some software differences that set it apart -- and not in a good way. Much of Android's appeal stems from its open and highly customizable nature: Compared to Apple's notoriously closed approach, Google's operating system allows you to install any applications you want without needing your manufacturer's blessing. This is a core principle of what makes Android what it is; in many ways, it's the anti-iPhone. The Motorola Backflip, however, seems to take a step back from this concept. The option to install unofficial applications -- that is, apps found outside of the official Android Market -- is mysteriously missing from the device; the "Unknown sources" setting is simply not present on the "Applications" menu, where it'd normally be found. After seeing this mentioned at an Android developer forum this afternoon, I was able to confirm it directly with a Backflip demo unit. The Backflip's "Applications" menu has only four lines instead of the typical five. In addition to the external app restrictions, AT&T has preloaded the Backflip with a dozen of its own apps that can't be removed without using that same backdoor hack. Why the Backflip restricts the full Android experience isn't completely clear. AT&T representatives were unable to elaborate on the situation, and Motorola's reps weren't immediately able to provide an answer. Google's Android team told me that since the Backflip isn't actually a Google-branded product, they wouldn't be able to provide any insight into the software modification decisions. "This is a known issue, and I will report back when I find something out." "Looks like AT&T turned it off. Don't know what to say about that..."
"Not going into pointing fingers here, but all other current Moto Android phones (Droid - VZW, Cliq - Tmo, Devour - VZW) have this feature installed." One logical theory is that the move could be designed to limit the use of apps that allow tethering, something AT&T has long frowned upon with Apple's mobile technology. While limited tethering options do exist within the official Android Market, AT&T could conceivably place restrictions on those downloads. The numerous tethering options available outside of the Android Market, however, would be completely out of AT&T's control. Control is something we typically discuss when looking at Apple's mobile products. It's a damn shame to see Android being tainted with that same restrictive mindset. JR Raphael is a PCWorld contributing editor and, according to a quiz he recently took, a partial Android fanboy. He's on Facebook; come say hello.